Hey guys! I'm taking a little break from all the glitter polishes I have been wearing lately. I have been wearing peel-off basecoat underneath all of them, and even though the stuff is pretty subtle it is beginning to show on my nails (peeling always damages!). 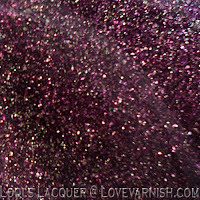 So, to give my nails a break I thought I would wear something that will last for a good long while: a texture polish, P2 Seductive. I already showed you its blue sister a while ago, and Seductive is just as gorgeous. 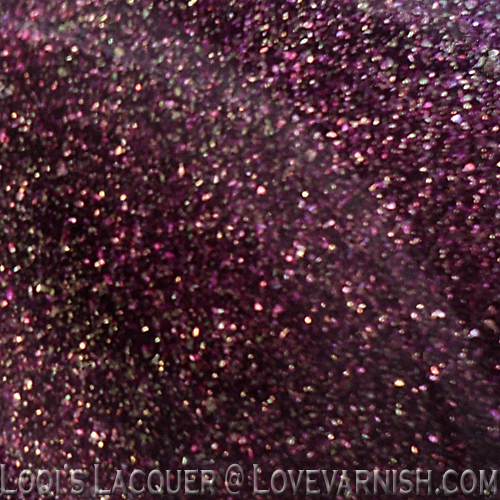 Seductive is a pretty plum shade laced with gold that is also really pretty with a topcoat (you can see it's shiny look in the bottleshot at the top). I took these pictures on friday and I have only minor tip-wear while writing this today, after a weekend of doing a lot of crafty stuff with my hands. Texture polish added bonus: you can fix tip-wear easily by dabbing a little bit of new polish on the worn parts, the texture makes the new polish blend in perfectly. That is sooo pretty! I love it. Wow, this one is stunning! That's beautiful, I really wish we had P2 here, this one and Confidential are both really gorgeous! Don't make me drool girl! :D yay! I hope you enjoy them!